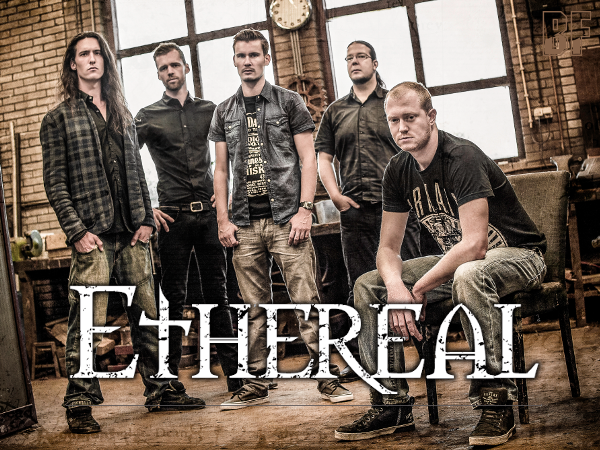 Dutch Metal band ETHEREAL will release their long-awaited debut album "Pendular" on November 15th 2014. The band was formed by guitarist Michiel Quakernaat and synth virtuoso Uri Dijk in 2005, they have been creating overwhelming, jaw-dropping music and showing their skills in the Premier League of the Dutch metal scene. After becoming the first metal band ever won the Grote Prijs van Nederland 2010 in the 'Best Musician', the biggest band competition in The Netherlands, the quintet's technical metal has been raged major Dutch stages and festivals across the country, including Eurosonic, Zwarte Cross, Melkweg and 013. The frontman Daniel Verbrugge, officially has been ranked the top-three in Dutch grunter of 2009. The band opened for Arch Enemy and performed in front of 6,000 metal fans at the Tremplin Festival in Casablanca as the first Dutch metal band ever played in Morocco. 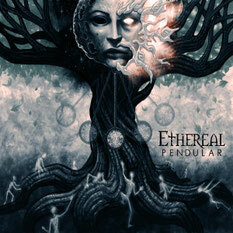 ETHEREAL has released so far their first EP "Prologue" in 2008, the second EP "Lunacy Falls" in 2011, and now this new release is thier long-awaited first album. This "Pendular" was produced by acclaimed producers Joost van den Broek and mastered by Jochem Jacobs. It contains 8 new songs, and the single track "Glorification Of Idiocy" features guest vocalist Daniel de Jongh (frontman of TEXTURES) and is very well-received by fans. ETHEREAL brings not just an energetic sound as incitant but also technical riffs and melodic lines, to their brutal power Metal. For a fan of Lamb Of God and Children Of Bodom or In Flames (Official), Symphony X and Stratovarius.